The U.S. Army has purchased a Motorola Solutions-built software platform intended to facilitate communication between disparate devices, the branch website said Thursday. The service branch will integrate the WAVE software tool with its tactical communications network to meet program requirements of the Program Executive Office Command, Control and Communications – Tactical in Maryland. 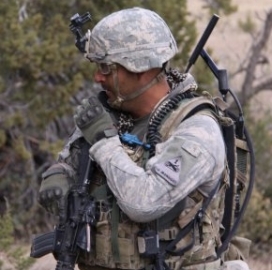 WAVE is designed to convert communication via two-way radios into a Voice over Internet Protocol application to help users make voice calls via different devices and networks, the Army said. The Army assessed the platform through the Network Integration Evaluation process and will utilize it as a voice tool for mission command operations. Col. Michael Thurston, project manager mission command, said the Wave platform will work to help the service branch to communicate with the U.S. Marine Corps, U.S. Special Operations Command and other Defense Department agencies.